It’s almost time again, Geeklings! Time to head back to that magical realm, where wizards and witches live undercover, where history gets a sprinkling of sorcery, and where the most unlikely of individuals can become heroes… or villains. Yup, this Friday Fantastic Beasts: The Crimes of Grindelwald opens in theaters. And though the early reviews are ‘meh‘ and this flick is already coming in controversial, I’m still excited. How could I not be? It’s Newt! And Queenie, and Tina, and Jacob, and Credence! And even Albus Dumbledore! DUMBLEDORE! As a wand-carrying, scarf-wearing Gryffindor, I am ready, willing and able to see what the next chapter will bring. Though it’s so hard to beat the original Harry Potter series, Fantastic Beasts and Where to Find Them was a nice surprise for me. I loved the characters, I loved the setting of 1920s New York, I loved the magic in America historical context (MACUSA and the New Salemers), and I loved the message. Also, the beasts, my goodness the beasts! So many amazing critters, including Nifflers, which have become one of my favorites. And now we’re back! A few years later, a growing threat, some new characters and some familiar faces. And on Peter’s Hill in London, Warner Bros UK unveiled something pretty darn awesome. So yeah, people are excited. Is it going to take us in a whole new direction? Is it going to answer questions we may have? Is it finally going to let two main characters be gay in a mainstream movie? Is it going to fall flat on it’s face and totally muck things up? Who’s to say? We’ll have to wait until this weekend to find out. But what do you guys think? Are you excited too? Indifferent? Over it? Post away in the comments below. Enjoy Geeklings, let us know what you think, and until next time, End of Line. Week of Geek: Fan Con’s almost here! Plus, one more Fantastic Beasts trailer! This is it! 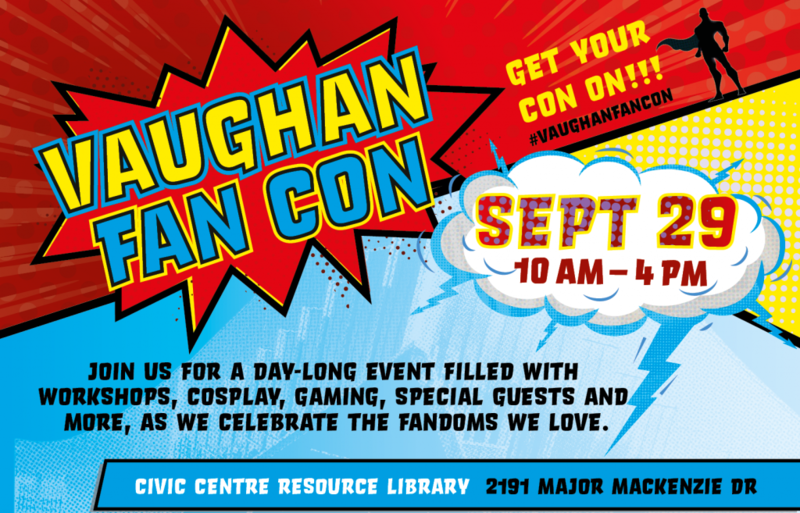 Just a few days until Vaughan Fan Con 2018, this Saturday from 10am – 4pm! Are you excited? I’m SO excited! We’ve got so much going on that day; workshops, video games, board games, Pokemon, an Artists Alley, special guests, cosplay photoshoots, a STEAM area. Just… so much wow! Be sure to click that link to see what’s going on and how to sign up for the workshops. And stay tuned, because like with any con the schedule can be subject to change. 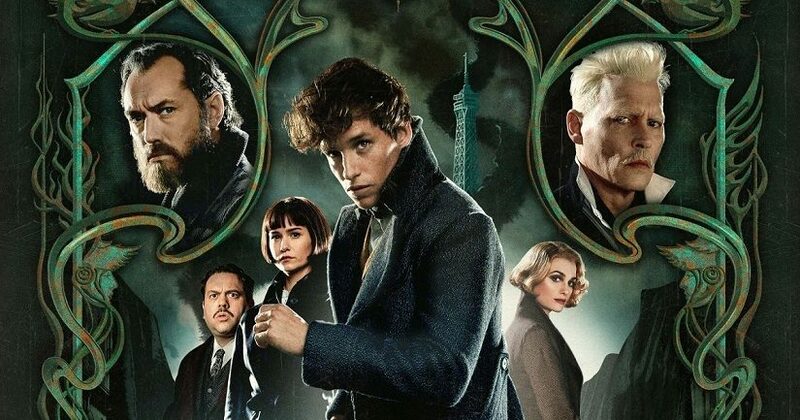 As for something geeky this week to get us all in the spirit, how about a brand new Fantastic Beasts: The Crimes of Grindelwald trailer? Is this movie going to be somewhat problematic? Yup. Am I still excited? Yup. I mean, it does look pretty darn awesome! New beasts, lots of magic, high stakes, a young Dumbledore, Hogwarts! It’s darn near impossible not to be excited! There’s a big reveal in the trailer that ties into the Harry Potter series, and there’s already much speculation on what’s going to go down (with J.K. Rowling being mum as usual). 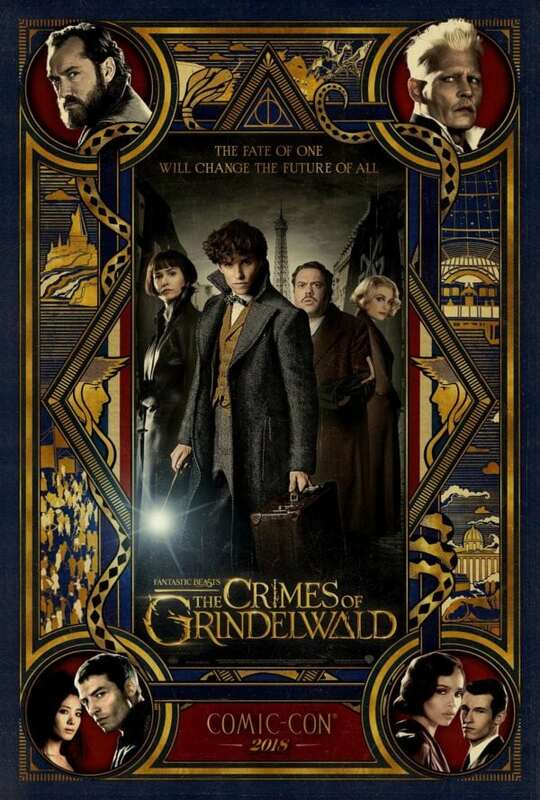 If you want to catch up on the Wizarding World we have the series in our collection and we have the films, including the first Fantastic Beasts movie, as well as the script and the textbook. Can’t wait to see you on Saturday! If you want to come in costume it is not a requirement but very much encouraged. Enjoy the rest of the week and until next time, End of Line.